The diversity of sponge-associated fungi has been poorly investigated in remote geographical areas like Antarctica. In this study, 101 phenotypically different fungal isolates were obtained from 11 sponge samples collected in King George Island, Antarctica. The analysis of ITS sequences revealed that they belong to the phylum Ascomycota. Sixty-five isolates belong to the genera Geomyces, Penicillium, Epicoccum, Pseudeurotium, Thelebolus, Cladosporium, Aspergillus, Aureobasidium, Phoma, and Trichocladium but 36 isolates could not be identified at genus level. In order to estimate the potential of these isolates as producers of interesting bioactivities, antimicrobial, antitumoral and antioxidant activities of fungal culture extracts were assayed. Around 51 % of the extracts, mainly from the genus Geomyces and non identified relatives, showed antimicrobial activity against some of the bacteria tested. On the other hand, around 42 % of the extracts showed potent antitumoral activity, Geomyces sp. having the best performance. 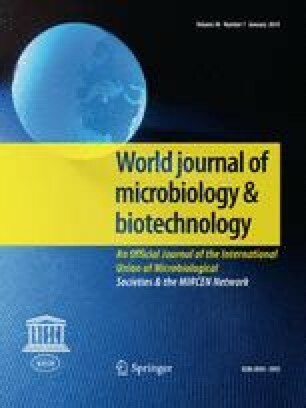 Finally, the potential of the isolated fungi as producers of antioxidant activity seems to be moderate. Our results suggest that fungi associated with Antarctic sponges, particularly Geomyces, would be valuable sources of antimicrobial and antitumoral compounds. To our knowledge, this is the first report describing the biodiversity and the metabolic potential of fungi associated with Antarctic marine sponges. We thank Antarctic collaborator Carol San Martín, and all the team of Professor Julio Escudero Base in Antarctica for allowing us to use their accommodations and laboratory facilities. We also thank to Mitzy Vega and Patricio Romero for lab assistance. This work was supported by FONDECYT grant 11090192, Instituto Antártico Chileno (INACH) and “Programa Bicentenario de Ciencia y Tecnología” (Chile) project PDA13.